The dollar neared a 1-1/2-month high against the yen on Friday, as an improvement in investor risk appetite buoyed equities and pushed U.S. yields significantly higher. Equities were boosted as Wall Street gained on Thursday in anticipation of strong corporate earnings, and as geopolitical worries eased on U.S. President Donald Trump's suggestion that a military strike on Syria may not be imminent. The dollar had slipped against the yen, a perceived safe-haven, earlier in the week as U.S.-China trade tensions and the possibility of a U.S.-led missile strike on Syria roiled the broader financial markets. The common currency has risen 0.4 percent this week, supported by comments from European Central bank officials that reinforced expectations toward monetary policy normalization. Gold prices edged up on Friday, with the ongoing tension over Syria cited as supportive for the yellow metal. Prices gained on tensions over Syria. However, U.S. president Trump said later on Thursday that the attack on Syria “could be very soon or not so soon at all” sent the dollar firmer earlier in the day and weighed on the dollar-denominated gold. The dollar tumbled to 89.09 overnight as U.S. trade outlook remained uncertain despite improving risk appetite amid the easing geopolitical worries over Syria, but gradually recovered on Thursday late morning. Dollar-denominated assets such as gold are sensitive to moves in the dollar – a gain in the dollar makes gold more expensive for holders of foreign currency and thus decreases demand for the precious metal. Asia stocks pared early gains on Friday as caution crept in ahead of the U.S. earnings season and as investors weighed the possible impact on global growth from a tariff spat between the United States and China. Investors were also left digesting mixed data from China which showed March exports unexpectedly fell 2.7 percent from a year earlier while imports grew more than forecast. That left the country with a rare trade deficit of $4.98 billion for the month, the first since last February. China is the world's biggest net crude oil consumer and top buyer of copper, coal, iron ore and soy. Analysts expect quarterly profit for S&P 500 companies to rise 18.4 percent from a year ago, in what would be the biggest gain in seven years. In a change of tack, Trump Thursday asked his trade advisers to look at re-joining the Trans Pacific Partnership, a multinational trade pact he withdrew the United States from early last year. But he later tweeted that the United States would only join the TPP if the deal were substantially better than the one offered to former President Barack Obama. The yen is sought when investors turn risk averse because Japan's hefty current surplus and massive offshore assets provide protection against the capital outflows deficit-running countries are vulnerable to. Oil prices edged lower following suggestions from U.S. President Donald Trump that a military strike on Syria may not be imminent. They are still set for their biggest weekly gains since last July. Oil prices edged lower on Friday after U.S. President Donald Trump tempered remarks warning of an imminent missile attack on Syria, but were still set for their biggest weekly gains in more than eight months. Both benchmarks, which have risen about $5 this week, are set for their biggest weekly gains since last July. They surged to their highest since late 2014 on Wednesday after Trump warned that missiles "will be coming" in response to the attack in Syria and Saudi Arabia said it intercepted missiles over Riyadh. Trump tweeted on Thursday an attack on Syria "could be very soon or not so soon at all", raising the prospect that an attack might not be as imminent as he seemed to suggest the day before. OPEC said on Thursday a global oil stocks surplus is close to evaporating, and that its collective output fell 201,000 barrels per day to 31.96 million bpd in March from February. OPEC and its oil producer allies are poised to extend their supply-cutting pact into 2019 even as a global glut of crude is set to evaporate by September, OPEC Secretary-General Mohammad Barkindo told Reuters. The potential reintroduction of sanctions on Iran was unlikely to have an immediate impact on the oil market, Goldman Sachs said on Thursday. President Trump has given European signatories a May 12 deadline to "fix the terrible flaws" of a 2015 nuclear deal or he will refuse to extend U.S. sanctions relief on Iran. Meanwhile China's March crude oil imports climbed from a month earlier to the second highest on record, calculated on a daily basis, as refiners replenished stocks on generous government quotas and ahead of peak maintenance season. Gold on Thursday made its intraday high of US$1365.06/oz and low of US$1338.99/oz. Gold was down by 1.39% at US$1334.85/oz. In daily charts, prices are above 50DMA (1326) and breakage below will call for 1316-1300. MACD is below zero line and histograms are decreasing trend and it will bring upward stance in the upcoming sessions. RSI is in oversold region and more downside is expected before it gets stretched. Stochastic Oscillator is in oversold territory and giving positive crossover to confirm bullish stance for intraday trade. Based on the charts and explanations above; sell below 1340-1370 keeping stop loss closing above 1370 and targeting 1331-1320 and 1311-1306. Buy above 1331-1306 with risk below 1306, targeting 1340-1350-1357 and 1362-1370. Silver on Thursday made its intraday high of US$16.68/oz and low of US$16.43/oz. Silver settled down by 1.142% at US$16.44/oz. On daily charts, silver is sustaining below 200DMA (16.77), breakage above will lead to 17.25-17.70. MACD is above zero line and histograms are increasing trend and it will bring bullish stance in the upcoming sessions. RSI is in oversold region, indicating buy signal for now. The Stochastic Oscillator is in neutral region and giving positive crossover to show upside move for the intraday trade. Based on the charts and explanations above, buy above 16.50-15.00 targeting 17.00-17.75 and 18.20-18.60; stop breakage below 15.00. Sell below 17.00-18.20 with stop loss above 18.20; targeting 16.50-16.00-15.60 and 15.00-14.50. Crude Oil on Thursday made an intra‐day high of US$67.20/bbl, intraday low of US$65.93/bbl and settled up by 0.495% to close at US$66.99/bbl. On daily charts, oil is sustaining below its 50DMA i.e. 61.15 which is a major resistance and breakage above will call for 62.20-62.80. MACD is above zero line and histograms are in increasing mode will bring bearish stance in the upcoming sessions. The Stochastic Oscillator is in neutral region and giving positive crossover for confirmation of bullish stance; while the RSI is in oversold region and more downside can be expected. Based on the charts and explanations above; sell below 66.50-64.00 with stop loss at 64.00; targeting 66.50-66.00-65.20 and 64.50-64.00-63.30. Buy above 66.50-62.70 with risk daily closing below 62.70 and targeting 67.00-67.50-68.00 and 68.90-69.60. EUR/USD on Thursday made an intraday low of US$1.2298/EUR, high of US$1.2379/EUR and settled the day down by 0.323% to close at US$1.2325/EUR. On daily charts, prices are sustaining above 100DMA (1.2164), which become immediate resistance level, break below will target 1.2150-1.2000. MACD is below zero line but histograms are increasing mode which will bring bullish view. Stochastic is in neutral territory and giving positive crossovers to signal for bullish outlook for intraday. 14D RSI is currently approaching oversold region and giving wards directions to consider buy. Based on the charts and explanations above; sell below 1.2350-1.2510 targeting 1.2210-1.2160 and 1.2090-1.2000 with stop-loss at daily closing above 1.2450. Buy above 1.2300-1.2000 with risk below 1.2000 targeting 1.2300-1.2350-1.2400 and 1.2450-1.2510. GBP/USD on Thursday made an intra‐day low of US$1.4144/GBP, high of US$1.4246/GBP and settled the day up by 0.374% to close at US$1.4224/GBP. On daily charts, prices are sustaining above 50DMA (1.3953) is become major support level. 14-D RSI is currently in neutral region and direction is difficult to predict on RSI bases. The Stochastic Oscillator is in oversold territory and giving positive crossover to confirm bullish stance. MACD is below zero line and histograms are decreasing lead to downward movement. Based on the charts and explanations above; short positions below 1.4200-1.4350 with targets at 1.4170-1.4120-1.4070 and 1.4010- 1.3910. 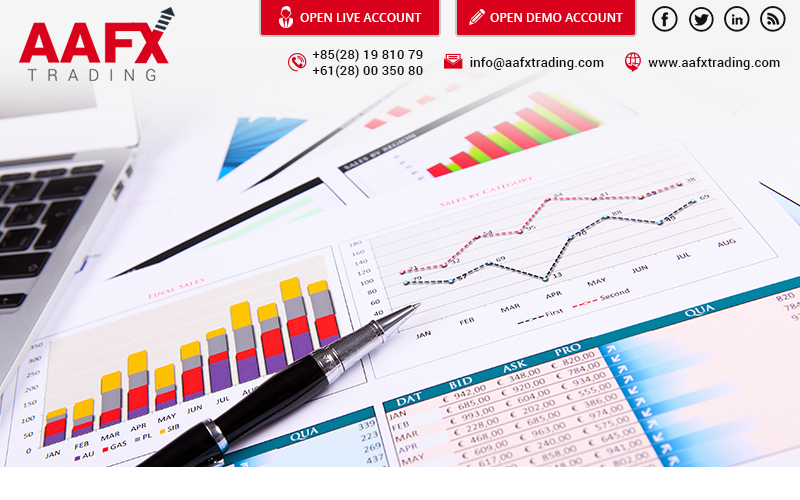 Buy above 1.4150-1.3910 with stop loss closing below 1.3910 targeting 1.4200-1.4250 and 1.4350-1.4400. USD/JPY on Thursday made intra‐day low of JPY106.69/USD and made an intraday high of JPY107.42/USD and settled the day up by 0.487% at JPY107.29/USD. In daily charts, JPY is sustaining below 200DMA (111.15), which is major resistance on the daily chart. 14-D RSI is currently in neutral region and direction is difficult to predict on RSI bases MACD is above zero line but histograms are in decreasing mode which might lead to downward movement. The Stochastic Oscillator is approaching overbought territory and signaling to sell as it has given positive crossover to confirm bullish stance. Sell below 107.50-109.60 with risk above 109.60 targeting 104.90-104.40 and 103.90-103.10. Long positions above 104.90-103.10 with targets of 105.50-106.00-106.70 and 107.50-107.90 with stop below 104.90.